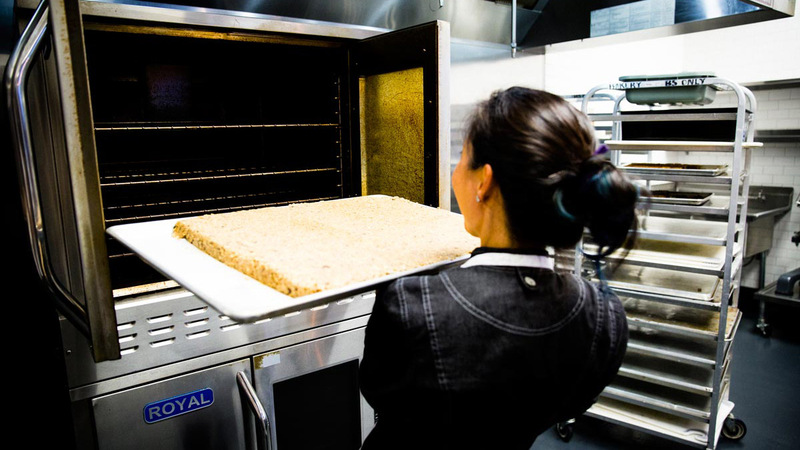 Bring life to a product that encompasses the vision of a pastry chef, promotes an active lifestyle, and makes sustainable energy delicious. 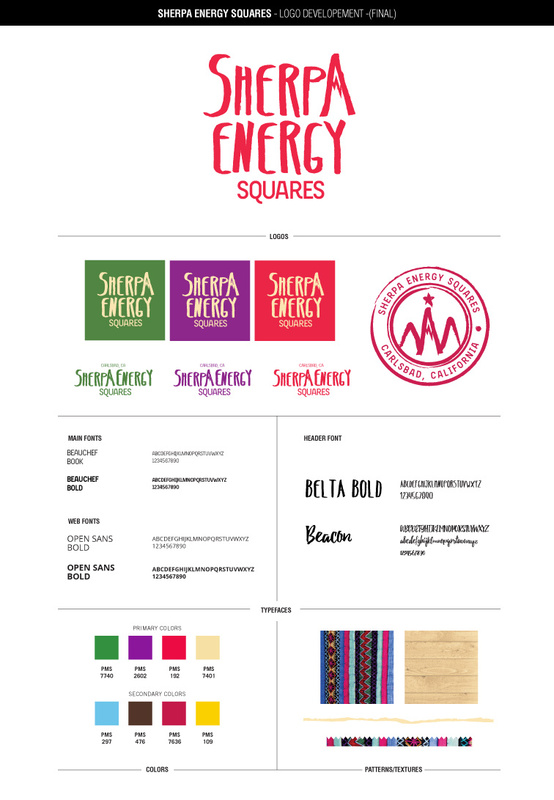 Sherpa Energy Squares had a name but needed the vision to transform into a real living and breathing brand. Start with a full Brand Discovery Workshop to build the company’s value propositions, personality, and strategies to launch the core product. Then, use the results to create a brand complete with identity, brand guidelines, website, packaging, and social media direction. Brand Discovery Workshop: The "Brand Discovery Workshop" that we put together for our clients is fun, rewarding, and always leaves the client with a clearer view on their brand goals and personality. The goal is to create all the different attributes associated with the company or product so that it becomes easy to create content with a common voice, look, and direction. It gives us a chance to become familiar with our client and the brand we are helping to build. ...Sometimes they are tough and sometimes they are just weird enough to start a brainstorming session that inspires new ideas. 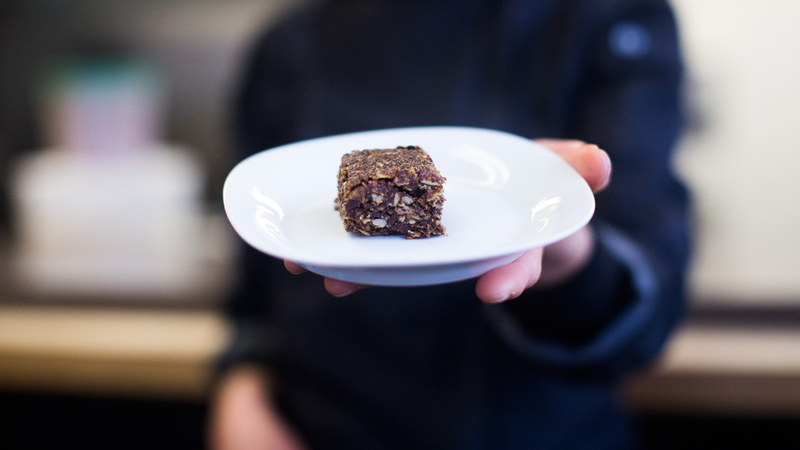 Afterwards we gather market research, competitor products, and talk about likes/dislikes in the marketplace, in this case the energy bar/snack world. 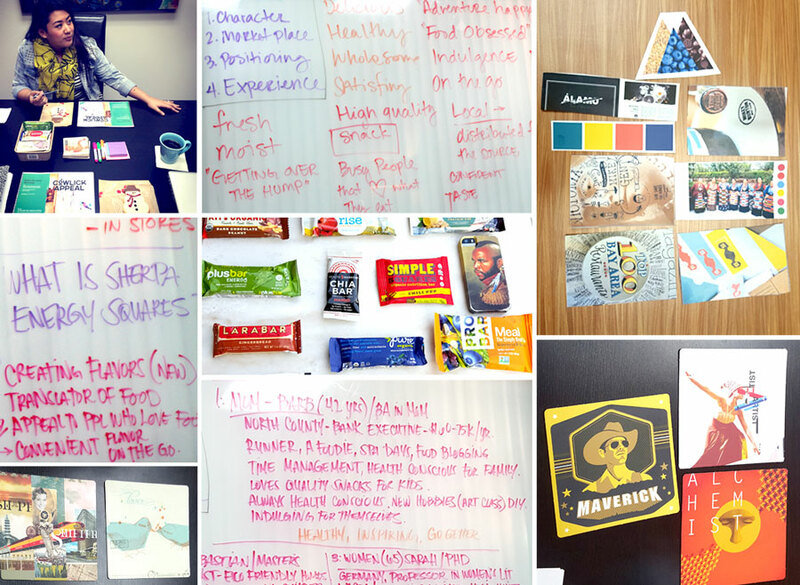 Taking what we learned, we create mood boards to visualize the brand's emotional connection with people, colors, textures, and places. word association games, find your underlying archetypes, and learn your customers’ personas. All throughout this process, we make sure to keep our eye on our end goal- the consumer - so we can speak directly to their desires and needs. 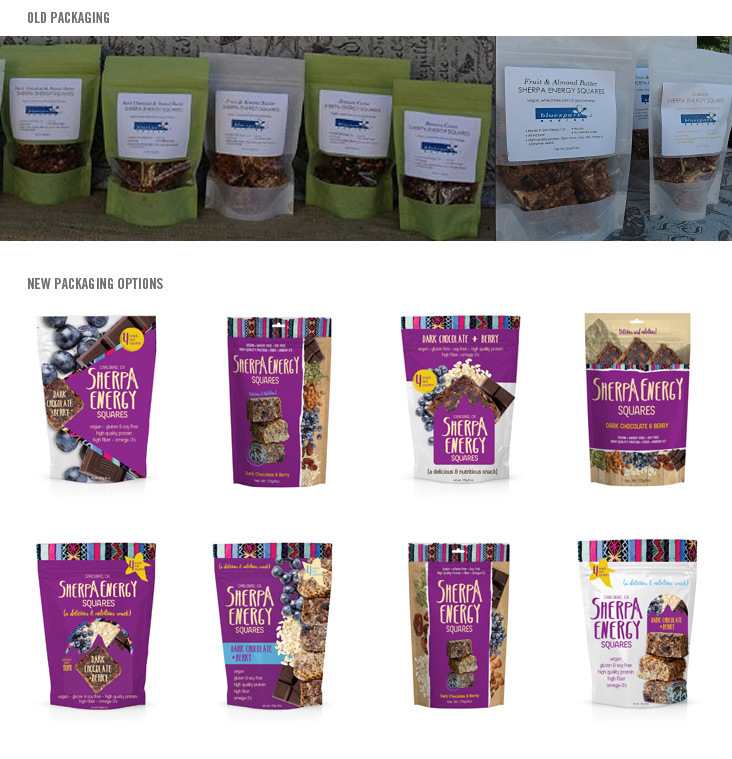 We wanted the Sherpa Energy Squares’ logo to have a balance of feeling fresh and healthy, outdoorsy and rustic, along with an idea of being in motion. Sherpas are always going and can handle extreme situations so we played with different logo marks that showed movement vs a healthy food brand focus. The Cowlick Appeal yanked our brand discovery and website projects away from boring, template-speak. They skillfully guided us into more fun, meaningful ways of expressing who and why we are a business. We are thrilled with the results. They exceeded all our expectations with their responsiveness, research, focus, and drive. They are truly unique talents that equipped us to reach our audience in refreshing ways. Brand Guidelines: In the end, we merged the key brand elements of being fresh, cheeky, and energetic with bold colors and textures. We used a font that felt hand-crafted and had the feel of movement. 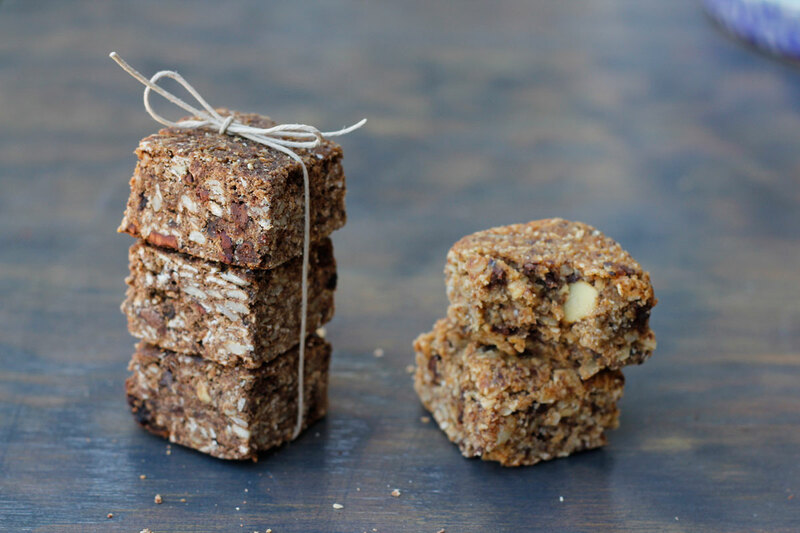 Using the shape of a mountain in the letter "A", helped remind customers that their daily “mountain” of to-dos can be handled with delicious and healthy snacks. 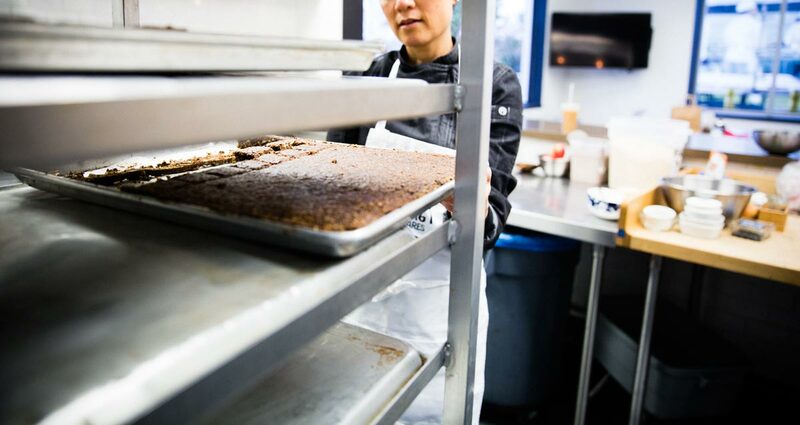 To keep true to the brand’s name and reinforce the artistry behind the food we added the texture of Tibetan textiles. We kept asking ourselves, “How can we make everything look delicious?”. So we made sure to use yummy colors communicating that Sherpa Energy Squares were not only healthy snacks, but also really delicious. 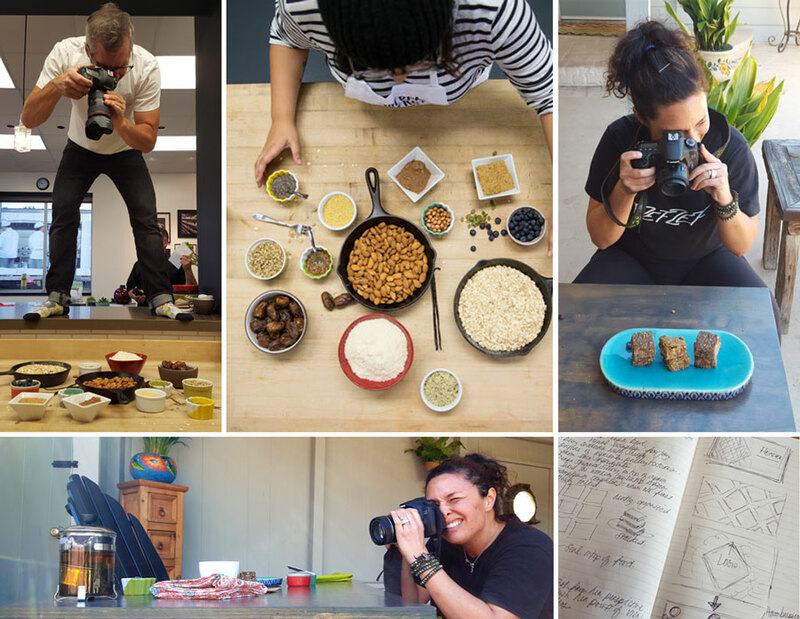 Taking pictures of the product in multiple settings helped us tell the Sherpa Story. We did some of our own staged photo shoots as well as brought in our experienced photographer friend, Jay Reilly, for the full product and lifestyle shots. Not only did we have fun art-directing, we also had many opportunities to sample Sherpa Energies fresh ingredients! When it was time to build the Sherpa website our vision was super clear. 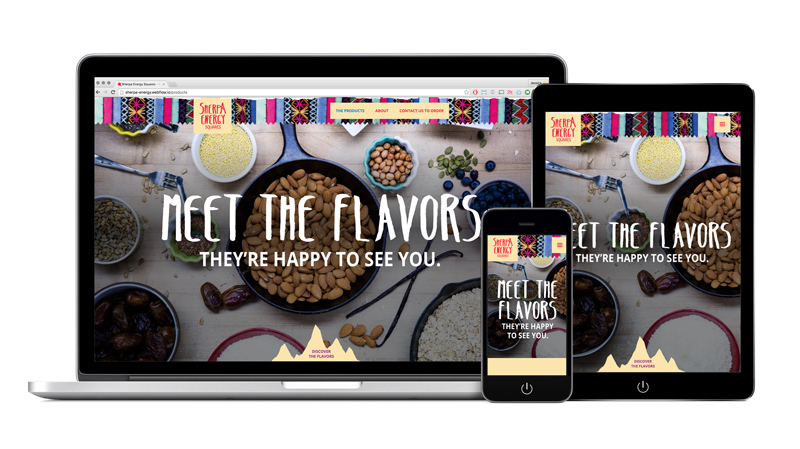 We gathered the brand feel, the colors, the content (worked with an awesome copywriter, Anne McColl), the photography, and the website basically built itself in no time (with the help of our amazing UX Consultant, of course, Nelson)! This whole project was a testament that building a brand the correct way can, and will, deliver amazing results.